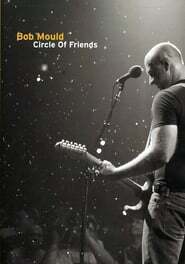 Circle of Friends is a DVD by Bob Mould of a live concert recorded in 2005 at the 9:30 Club in Washington, D.C. The performance included songs from Mould's earlier bands Hüsker Dü and Sugar, as well as his solo work. This particular show was part of the Body of Song tour, Mould's first non-solo tour for over a decade and the first one in which Hüsker Dü material was played for the first time since the band broke up in 1988.